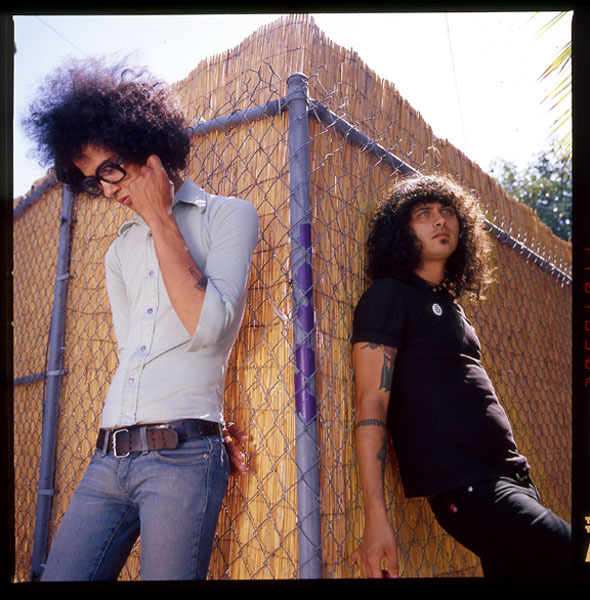 • THE latest album from Mars Volta is out of this world. Octahedron, the experimental metal band’s fifth studio effort, is described as their “acoustic” album, and showcases the normally harder-edged group’s many sides. • Dance duo Autokratz have released their long-awaited debut album, Animal. The LP is a pumping collection of sturdy breakbeats tinged with a distinct Depeche Mode, Pet Shop Boys and Erasure influence. • Avant garde rappers Anti-Pop Consortium have put out a new track free-of-charge. You can grab a copy of Apparently, a taster for forthcoming album Flourescent Black, from http://www.echoisaacashe.blogspot.com. • Prog rock legends Dream Theater are back with their 10th studio album, Black Clouds And Silver Linings. The album, which is in shops now, is a scintillating showcase of some of the best metal musicianship ever committed to record. • Welsh supergroup Future Of The Left have released a new album, the punk masterpiece Travels With Myself And Another. The blistering album, which is out now, deserves to be played as loud as your speakers will go. • Party band Boy Crisis have a new song out this week. The single Dressed To Digress, released on Monday, is a hedonistic slice of ‘80s-influenced electro disco. • Singer singwriter Scott Matthews has put out a new song from his latest album Elsewhere. You can grab a copy of the track, Into The Firing Line, from stores now. • Irish rocker Marc Carroll releases a new single Always this week. The track is the first cut from his forthcoming album The Dust Of Rumour. • Here’s News For You – the sensational Seb single News For You is out now. The London-based singer’s song marks his transition from record company odd job man to fully fledged artist.